Help CentreUsing SuperControl Configuring my propertyHow do I add custom text above my monthly calendar? 1. Go to Properties > Edit > select property > Custom calendar text. To add text that only displays for a specific date period, enter the text in the Date limited custom text field. A good example on when to use this could be if there are local activities on during summer months and you would like to promote this eg. Village music festival open 1st > 28th May. The guest can then see this text when looking up the calendar for May. 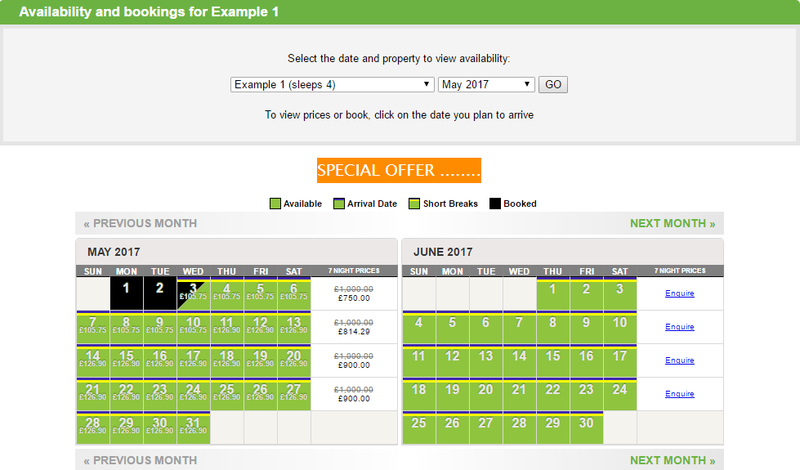 Prev: How do I set-up unique questions for my booking form? Next: How do I add custom text above my online grid view calendar?